I’ve always argued that understanding when and where to write commas is understanding English itself. Other punctuations do exist, and what is written English without all of these symbols doing their respective parts? But a period is a period. Its sole purpose is to conclude a sentence. It’s the same with the question mark, the semicolon, apostrophe, etc. – they have one, maybe two uses. The comma, on the other hand, performs a much more varied list of jobs. Call it the Swiss Army knife of written language. 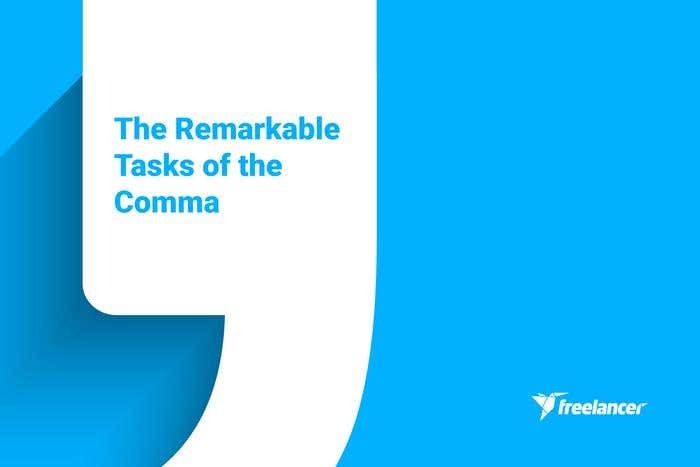 Today we’re going to tackle two odd jobs only the mighty comma would dare to pull off. A friend once asked me why is there a need for a comma between the greeting “hello” and the name Matthew. It seemed to him it’s more natural, more fluid without the interruption of a comma. I understood what he meant to a certain extent. However, it’s critical to identify what Matthew is in the sentence: It’s a noun, particularly an address. An address, or direct address, is merely the person who is being spoken to. You know how it works — you call the attention of a person (in your case, your readers) by inserting his or her name at the beginning, in the middle, or at the end of your sentence. Two commas set off the direct address, Dianne, from the rest of the sentence. Notice it would have been confusing for readers had not the commas been placed that way. Going back to the first example (Hello, Matthew! ), we can conclude that the inclusion of the comma is non-negotiable. I think I’ve made my point, but allow me to drive it home. In the infamous meme below, the comma does more than distinguish the direct address; it saves grandma from a horrifying, truly cannibalistic situation. You may be forgiven to think Lorelei can sing and play guitar at the same time. She has to be a one-person act, right? But wait a minute! What if the writer meant to say there’s Lorelei, yes, but there are two other musicians: the singer and the guitarist. Without a comma before the conjunction “and”, it’s really a toss-up. Your guess is as good as mine. The presence of commas helps maintain clarity by drawing a line, separating elements. Say you have two subjects “John and Paul,” all you need is a conjunction to connect them. No problem there. But if three or more subjects abound, commas become a necessary evil. Here’s the rub: Not everyone would place a comma before the conjunction. We call it the serial or Oxford comma, and it deserves your consideration. Some schools of thought, and indeed some well-known citation styles like The Chicago Manual of Style, endorse its use. The serial comma’s importance becomes apparent when dealing with sentences that have more than one conjunction. Here we have a single subject Carla paired with three predicates (in three distinct colors for emphasis). Remove the serial comma for a second and notice the disarray in the elements. Serial comma truly has its place. Find your next writing project and keep these handy tips in mind.